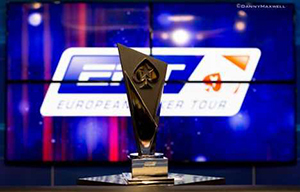 11th season of the European Poker Tour has ended after 20-year-old Adrian Mateos became the champion. And many players are already studying the schedule of the 12th season, which was announced in May here on PokerNews. Six stops have already been identified for the 12th season and the seventh in March will be presented later. The schedule includes Barcelona, Malta, Prague, PokerStars Caribbean Adventure, Dublin and Monte Carlo. For those who want to mark these dates on their calendar, we have prepared a table. The festival in Barcelona has been the most massive since the first season. A record number of participants and co-hosting with the Estrellas Poker Tour makes it a long-awaited event for all poker players. Four other stops are Malta, Prague, PCA and Monte Carlo, which have already been presented in the 11th season, when Malta made its successful debut on the tour and the main event with a buy-in of € 5,300 gathered nearly 900 participants.